Sara Weinheimer, Founder of podcast series BroadMic looks at her top 5 lessons learned in years of angel investing. The article was published on linkedin. When I first started out as an angel investor, I didn’t know any other women who were doing what I was doing. If you look at the data, my experience makes sense: In 2004, just 5% of angels were women; when I started out in 1997, there were probably even fewer. So it’s only natural that everything I learned about investing, I learned from the guys. Not that it occurred to me then that I was learning to invest in a particularly “male” way. It’s only now, after nearly twenty years in the business—the last ten of which I spent investing specifically in women-led startups—that I realize just how important some of those lessons that I learned early on were to my success. I can’t stress this one enough. It’s true that there will be good investments and bad investments, but at the end of the day, what you are investing in is a person more than a product. And if you don’t believe in that person—his or her ideas, talent, and ethics—then it’s going to be a poor investment of your personal capital—no matter how sound the business fundamentals are. When you’re an angel, it’s not just money that you’re putting on the line: It’s an investment of your time, energy, social and intellectual capital. You have to ask yourself: Am I willing to spend my nights and weekends giving this founder advice? Will I go to bat for them? Will I put my own reputation on the line by connecting them to my network? In short: you have to ask yourself whether you believe in them and trust them. A mistake I see many women angel investors make is thinking that doing more due diligence will lead to a higher probability of success. Due diligence can be a time-consuming and costly process, and many entrepreneurs have been advised—correctly—that they should make the fundraising “campaign” as short as possible in order to get back to running their business. Be sensitive to their reality. 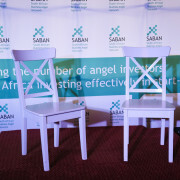 Yet, there is a basic assessment of a company’s prospects that every angel investor must make in order to get comfortable with writing the check. But doing more homework does not necessarily equate to a better outcome. Instead, focus your energy on deal flow, which “is everything,” as prominent VC investor Marc Andreessen once put it. The best entrepreneurs don’t just walk through the door—you have to go out and find them. It’s a lot of work. It’s hard to do on your own, which is why joining investor networks—whether formal or informal—can make sense. Here’s where doing the homework is important: Look at how well these investor groups do their job of attracting the best entrepreneurs. It’s also a waste of time to try to be a great early-stage stock picker. A much better strategy is to place smaller bets on a portfolio of 20-30 companies, as a large majority of startups simply won’t make it—for any number of reasons—and you need to prepare for that. Early-stage startups are a much more volatile asset class than your average stock or bond: More than half of them will fail to return your invested capital. By spreading your risk, you increase your chances of finding big winners (think Uber) that will more than compensate for your losses. Research confirms this: diversification is the single factor with the highest correlation to successful returns in early stage investing. Furthermore, the biggest hits don’t look like big hits early on. Diversification matters not just at the level of your portfolio, but also upstream, at the source of your deal flow. You don’t have to join just one investor network; in fact, I recommend participating in several groups that are complementary in terms of industry sector, investment size, stage, process and membership profile. One way to minimize—but not eliminate, that’ll never happen—losses is by developing relationships with people who understand the space you’re investing in. And I don’t just mean the company or product, but the entire space, whether it’s food delivery, social media or artificial intelligence. You can’t become an expert in everything, but, in the same way that the President has his or her cabinet, so do you need a network of people you trust whom you can call upon to advise you about your potential investments. These people shouldn’t all look the same, and they don’t all need to fit a certain mold, (e.g., be professors or industry lifers). They just need to be people who have their finger on the pulse of whatever space your startup is disrupting. If it’s social media, for example, then it may be someone who’s a lot younger than you—because they sure as hell better understand how Snapchat works, especially if you, like me, are still not entirely sure what the big deal is. If you’re looking for quick returns, you’re in the wrong business. You should assume that every investment you make won’t yield returns for at least five to seven years (usually closer to 10). Of course, there may be some quicker exits, but for the most part, you should operate under the assumption that when you write the check, you won’t see the money again for a long, long time. Just as your investment in the company is long-term, so too is your investment in its founder. Like in any relationship, there will be bad times along with good times, and the only way it can work is if you are willing to stick by the founders and help them work through their issues in whatever way you can. That can be through proactively making introductions to clients, talent, or other investors; offering strategic advice; or just periodically checking in to see how they’re doing. Continuing to move forward in this space is a lofty, but worthy goal. When there are more female angels, more women-led companies get funded (about 20% today vs. 3% in 2004). The same is true in venture capital: the gender gap in startup success disappears when women fund women. When more of these companies get funded, everyone wins: the economy, thanks to the jobs that are created; and the consumer, who gets better products, thanks to the unique insights that women bring to innovation. So let’s take this mythical “secret playbook” and make it our own. Network, share deal flow, find the best entrepreneurs, cultivate their trust, write checks, diversify…rinse and repeat!